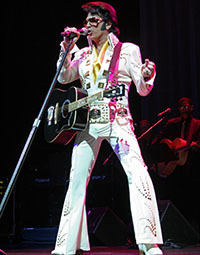 This Elvis is waiting to entertain you and your guests with his hits, colorful authentic costumes, and velvety voice. He will meet and greet, provide photo ops with your group, and of course perform and thrill your guests. Options include complete show, cameos and walk-around.